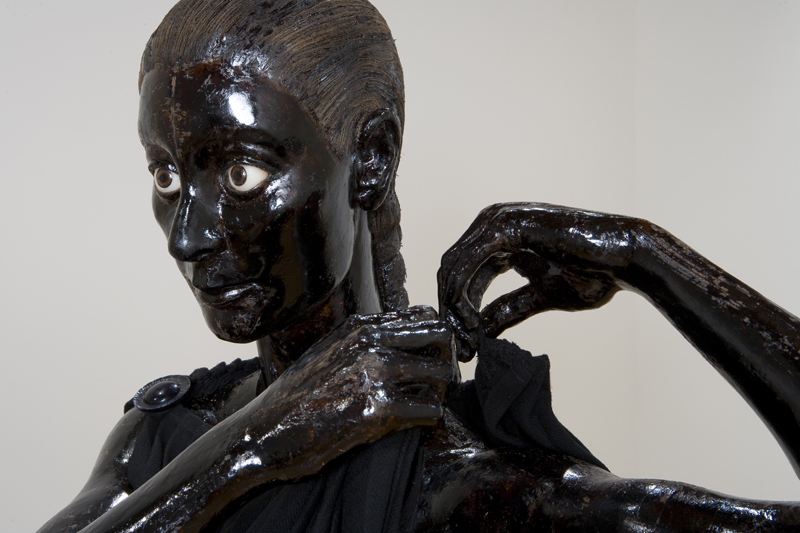 Steve Turner Contemporary is pleased to present Jacob Yanes: Philomela, a sculptural installation based on the the story of Tereus, Procne and Philomela as told by Ovid in the Metamorphoses. 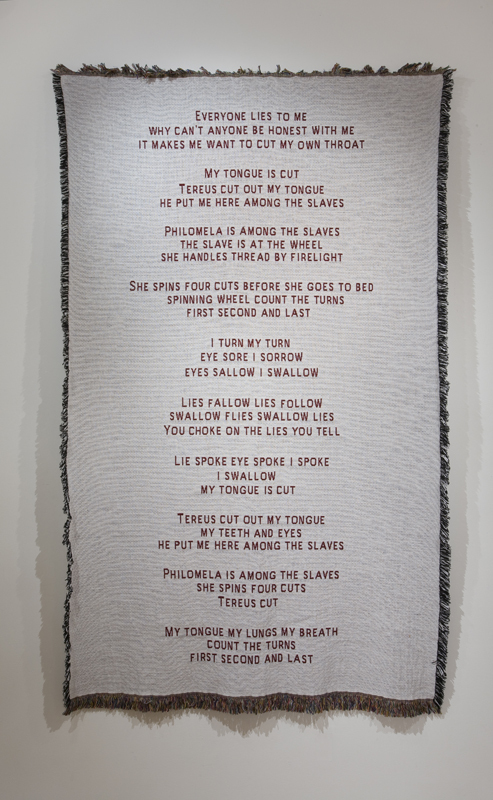 Yanes will present a human scale sculpture of a standing Philomela made from cardboard and wood putty together with a woven tapestry that features ten three-line phrases, some drawn from the original story, some from American slave narratives, and others of the artist’s invention. 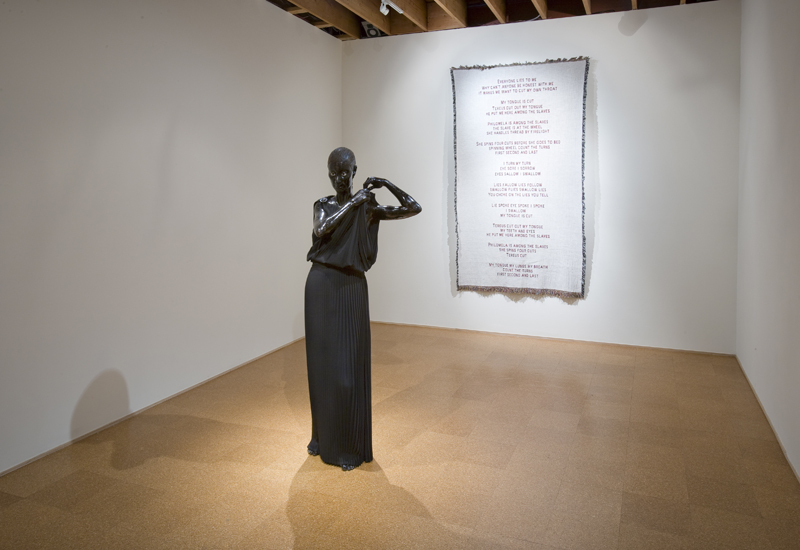 He uses the character of Philomela and the events of her story as a framework to examine how individuals reconnect and reengage after having been subjected to deliberate violence. 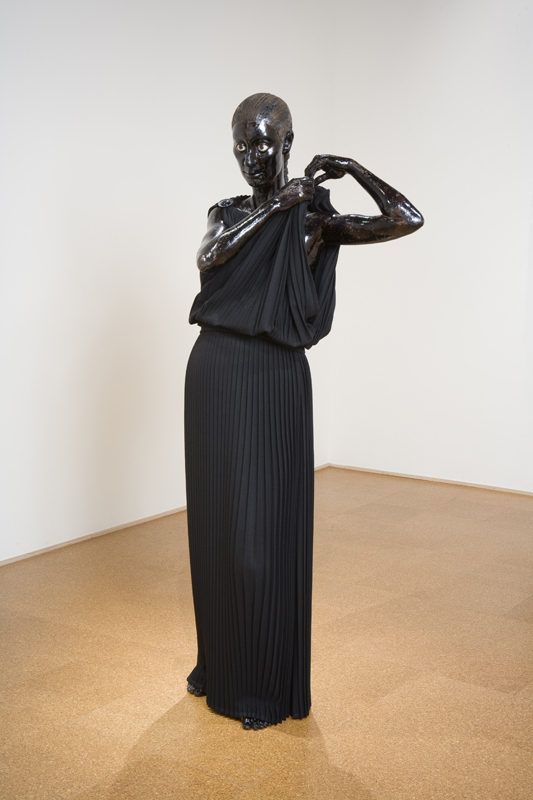 In his broader practice, Yanes uses the form of classical sculpture to consider human behavior. 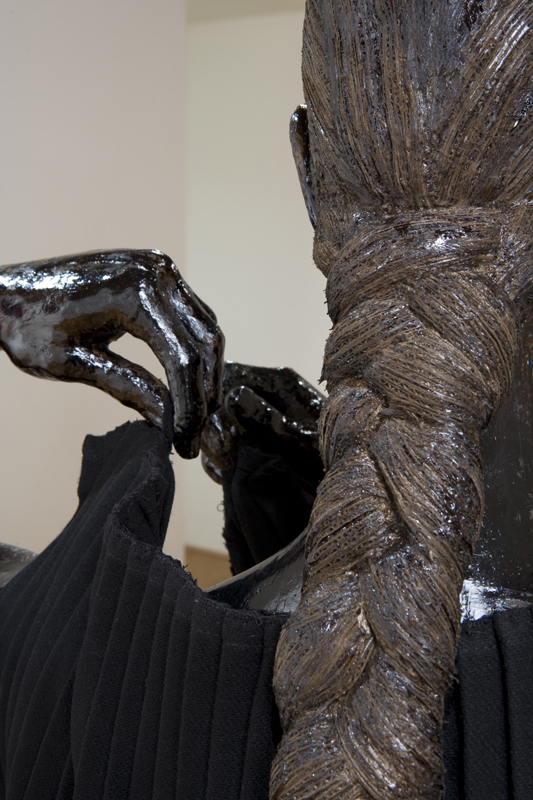 His single figure sculptures convey a complex mix of character traits and emotions. By adjusting pose and gesture and by altering materials, Yanes creates works that show the dilemmas and struggles inherent in existence. He has created five monumental works since 2007, and each will be featured in an upcoming publication, Jacob Yanes: Five Works. Philomela is a princess of Athens. Her sister Procne is married to King Tereus of Thrace. Tereus, infatuated with Philomela, forces her to a remote cabin and rapes her. Philomela declares that she will expose the assault, but Tereus cuts out her tongue, imprisons her in the cabin, and tells Procne that she is dead. 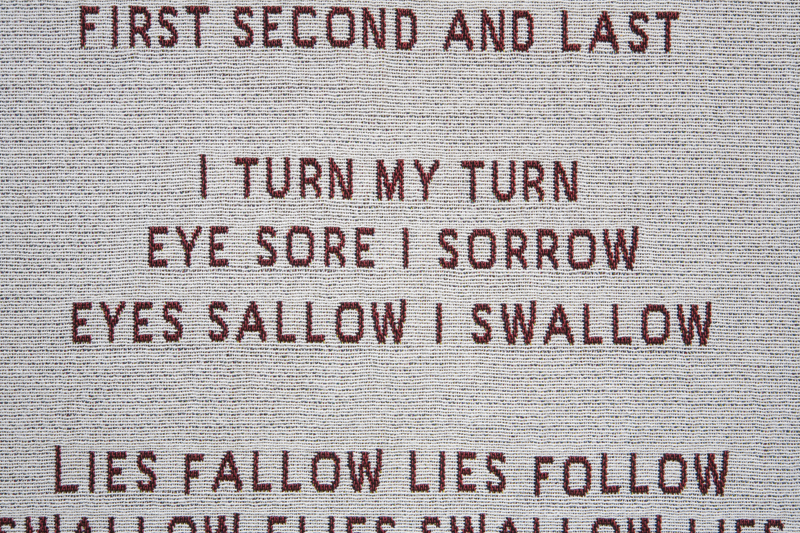 Voiceless and confined, Philomela weaves a tapestry that describes Tereus’ actions and her whereabouts, and has it sent to Procne. This act earns her freedom, but it also initiates a cycle of violent repercussions that she did not intend. 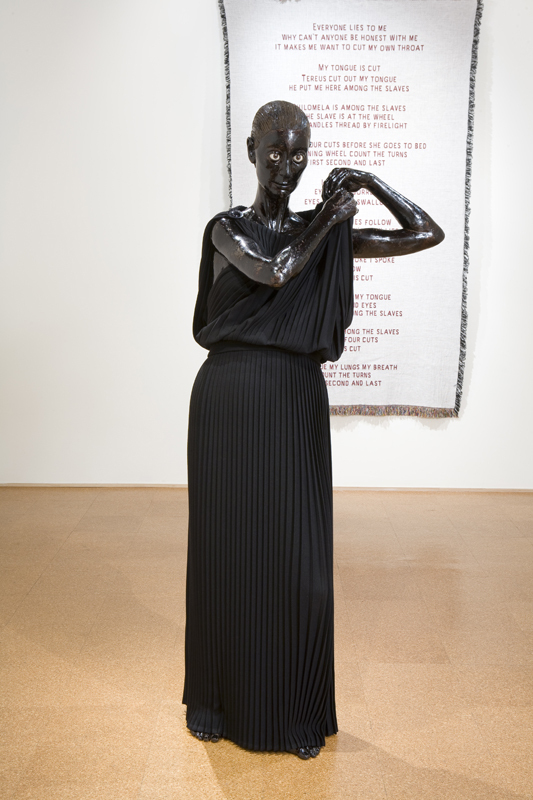 Born in Yonkers in 1974, Yanes earned a BA at Brandeis University (1996); an MFA at UCLA (2008); and has had residencies at the Skowhegan School of Painting and Sculpture (2008) and the Fine Arts Work Center, Provincetown (2009-10). 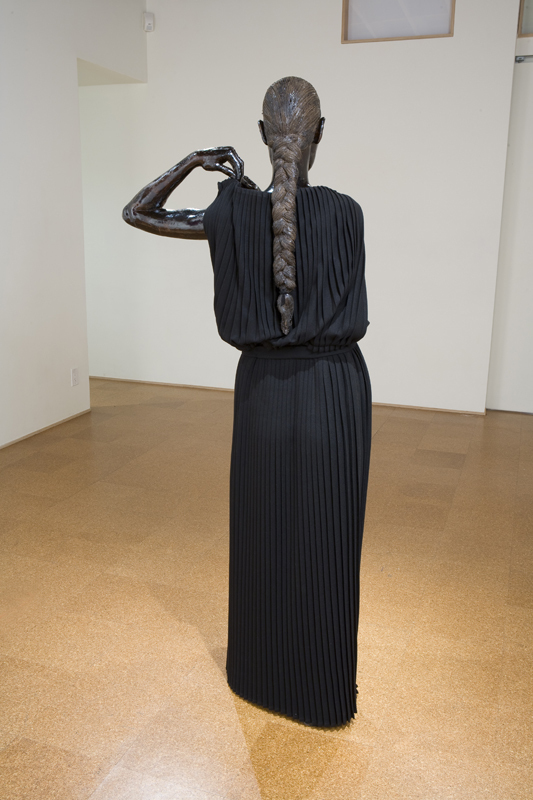 His work was included in The Big Four, Steve Turner Contemporary (2010); Selections from the Hammer Contemporary Collection, Hammer Museum, Los Angeles (2010); FAWC Fellows Exhibition, Provincetown Art Association and Museum (2010) and Some Young Los Angeles Artists, Cardwell Jimmerson Gallery, Los Angeles (2008). 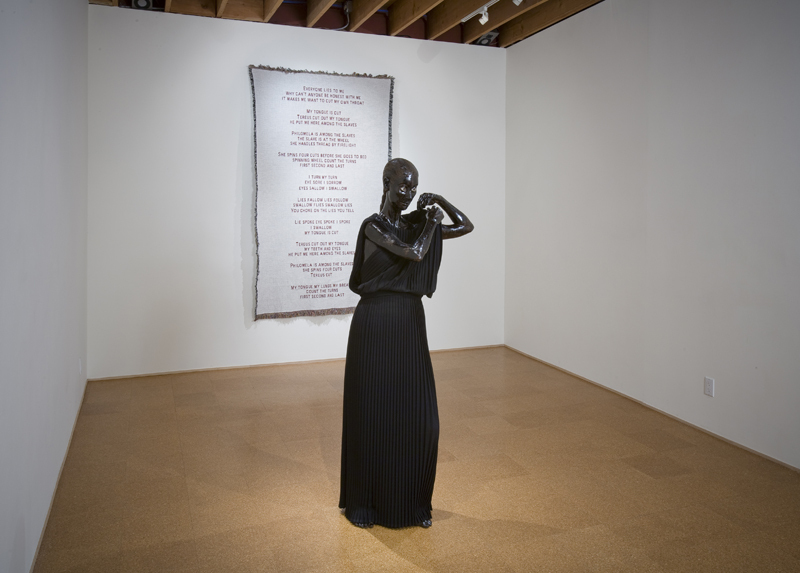 He received a 2011-12 Pollock-Krasner Foundation Grant. Steve Turner Contemporary is a contemporary art gallery based in Los Angeles that represents the work of emerging and established contemporary artists.